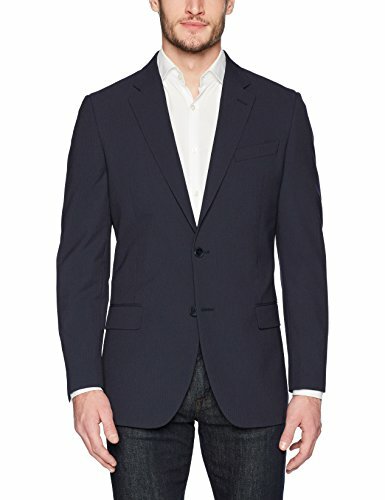 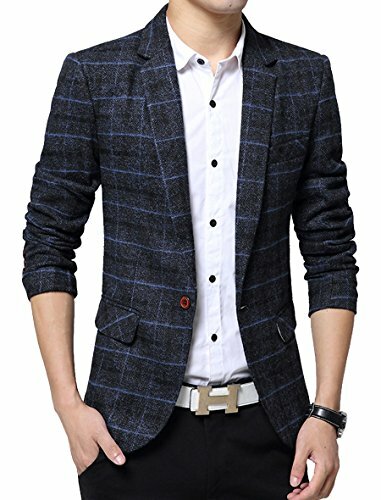 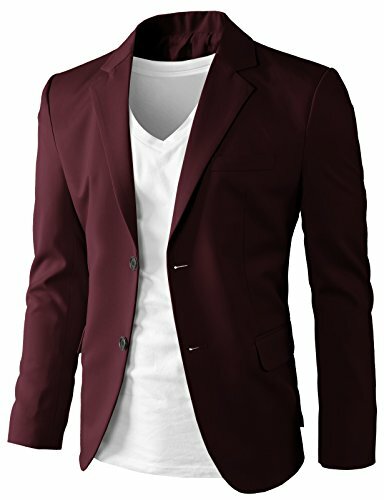 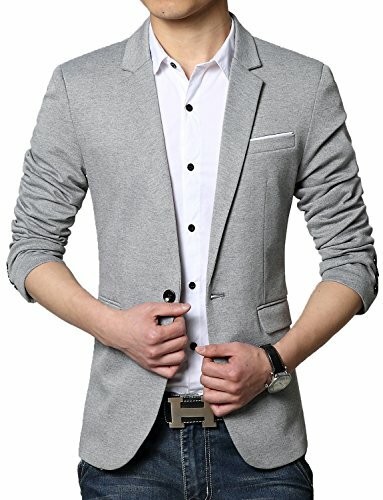 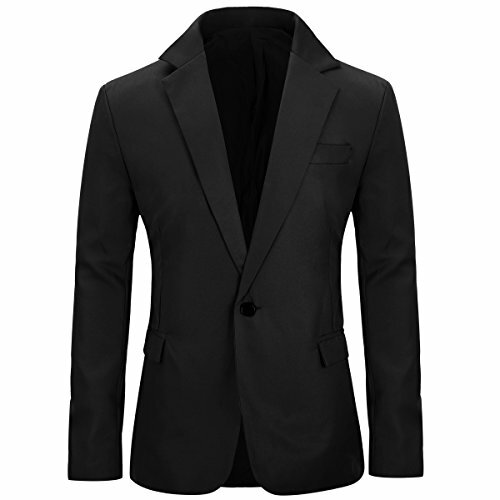 This unique design blazer is slim fitted and it can wear both in formal and casual occasion. 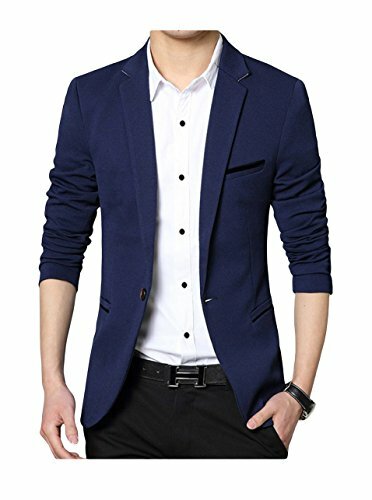 It can wear to work or everyday.US Small(Label 2X-Large): Chest 38.6", Waist 37", Shoulder 16.5", Sleeve 25.6", Length 29.1"; US Medium(Label 3X-Large): Chest 39.4-40.2", Waist 37.8-38.6", Shoulder 16.9", Sleeve 26", Length 29.5"; US Large(Label 4X-Large): Chest 40.2-40.9", Waist 38.6-39.4", Shoulder 17.3", Sleeve 26.4", Length 30.3"; US X-Large(Label 5X-Large): Chest 41.7", Waist 39.4", Shoulder 17.7", Sleeve 26.8", Length 31.1". 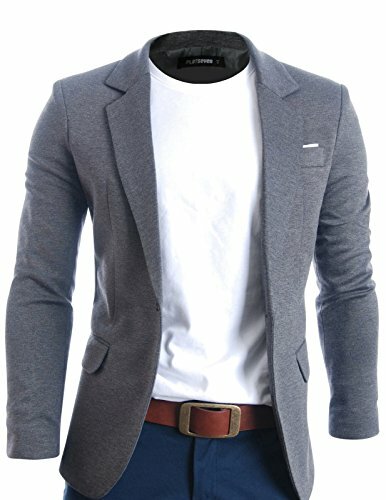 Attention: please allow around 1 inch difference in measurement due to different measurement methods; as different computers display colors differently, the color of actual item may vary slightly from the images. 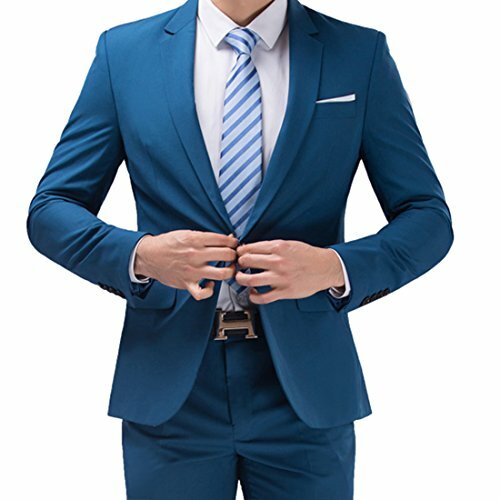 Customer Service: Please feel free to contact us if you have any questions with your purchase, our professional customer service team are here to reply you within 24 hours. 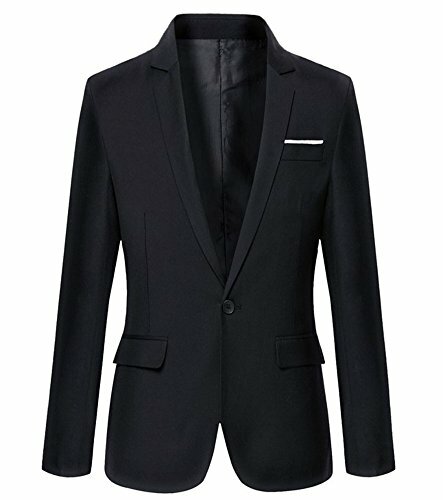 Your satisfaction, our promise!